Photos taken by Georgia Cheer and are copyright protected. ** Some of these photos originally printed in black and white in the September-October 1990 Crabbet Influence magazine. All are copyrighted. 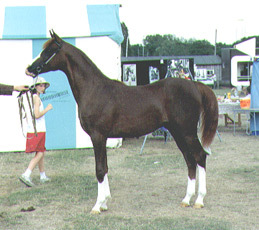 Pictured left is the Israeli National Champion mare ABBAH by Ben Rabba out of Azeme Bint Gleam. Pictured on right is 1990 Junior British National Champion Mare AUREME by Aurelian (by Ben Rabba) out of the same dam, Azeme Bint Gleam. Do you notice the similarities? 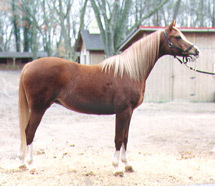 I took Abbah’s photo in 1994 in Virginia where she lives with owner Debra Cashvan. I think then she was about age 12. AL MAURAB by Ben Rabba out of Al Malika pictured on left at 9 years old won 1990 Ridden Arabian Champion and Ridden Champion of the show at Malvern. 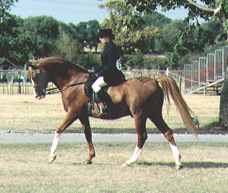 He is owned by Nikki Haworth of Blackpool, England. I learned that Al Maurab died in 2001. AUKUBRA by the Ben Rabba son Aurabba x Pearl Lady by Bey Shadow pictured on right. 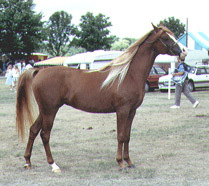 This yearling liver chestnut colt took Best Yearling Colt and Reserve Junior Male Champion. He went on to win International Junior Male Championship in Paris as well as the World title. Sadly he took ill and died unexpectedly in his two year old year. 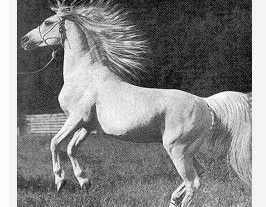 Honorable Mention: The recognizable HANIF (not pictured), then aged 28 years, by Silver Vanity x Sirella. 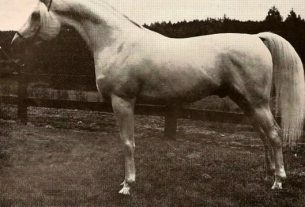 Bred by Crabbet Park Stud, owned by Imperial Arabian Stud and handled by one of the Roger Upton. 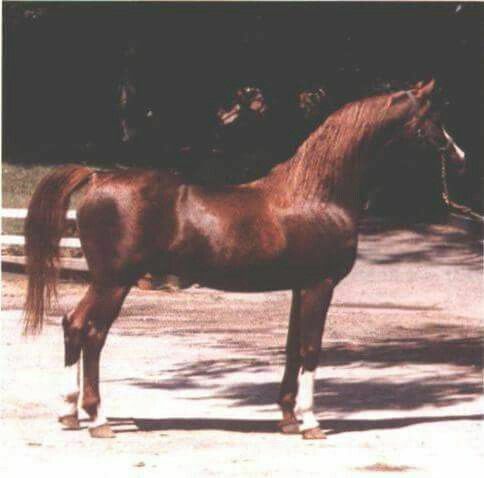 Hanif always displayed his ‘strut and roar’ during the 1990 Veteran Stallion class and often was the winner. This year he took 2nd place. Header/article photo at top of page is the lovely Ben Rabba.